Its so easy and simple to make….. seriously, all you do is this. Put the ingredients in a bowl and stir. Can any comfort food dip be any easier? You could make it fancy and put it into a shape, but even that isn’t hard at all to do. With entertaining through the holidays I always manage to keep on hand cream cheese. This is not a sponsored post, but I must shout out to Philadelphia Cream Cheese. I have used this product as long as Ive been cooking, and my mom used it in all her recipes as I was growing up. 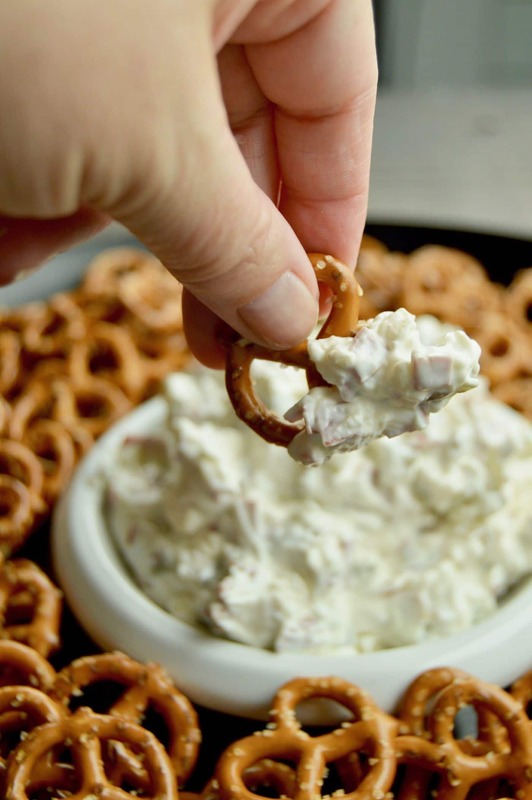 Looking for other great dips to make at the holidays for entertaining? Mildly Meandering has a Fluffy Gingerbread dip that not only tastes terrific, but it smells just like a gingerbread house! Seduction in the Kitchen has a BLT dip, and you know how I love bacon and I love that there are only a couple ingredients to keep on hand for unexpected company! Another favorite dip of ours is the Classic Pickle dip. It works all year round and if you don’t have the dried beef you could substitute any salami or pepperoni that you have on hand at the holidays! Craving more recipes for Holiday entertaining sign up for my mailing list here at the bottom of the page. or PIN THIS TO YOUR HOLIDAY PARTY or FOOTBALL GAMEDAY APPETIZER Board for when you are looking for ideas to serve at Christmas! Also Follow me on Pinterest to get more ideas to have for making easy delicious meals and appetizers for any entertaining! 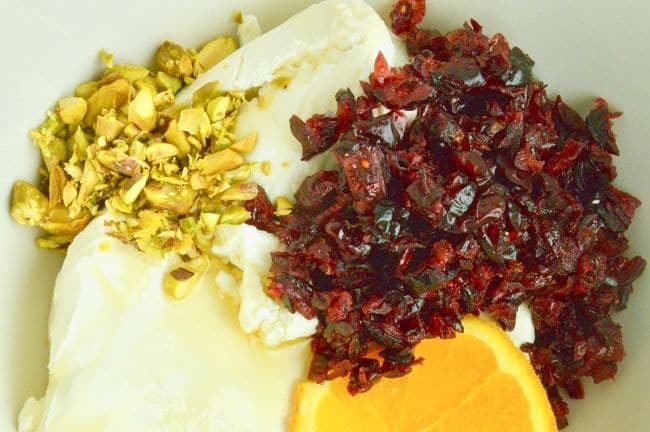 In a large bowl add cream cheese, goat cheese, cranberries, orange peel orange juice and honey. Stir until mixed well and even throughout. Onto a sheet of parchment paper spread out chopped nuts. Then take cheese ball/log and roll to cover all sides, making sure to coat evenly. Place on a tray and serve with various crackers. 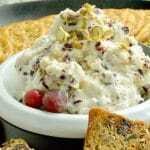 Alternatively: You can mix the nuts into the cream cheese and use as a spread as shown in the post. I mad this this past weekend and it was a HUGE hit!! Than for the excellent recipe! Great appetizer for the holiday season. Easy to put together (yay, that this can be made in advance), and so many delicious flavors, especially love the orange and cranberries together! This is a perfectly delicious spread for all my holiday entertaining. I love that I can make it for a potluck or a family gathering where I have to bring a dish! Thanks! This is one recipe I’ll definitely be making. Since we spend The Christmas Holidays Skiing and Snowboarding..I need to make dishes and dips that are quick and easy but also taste good and are festive. Thanks for sharing. I have on my next grocery store list to get my Philadelphia Cream Cheese. I think I go through about 6 bricks of it every holiday season. If you have it on hand you have a recipe in the making just like this beauty. I love this dip. It sounds delicious and is so festive too! What a great dip for Thanksgiving! My husband’s family has a habit of showing up 2 hours before they were invited, so I always need things like this to keep them occupied and out of my kitchen, ha! 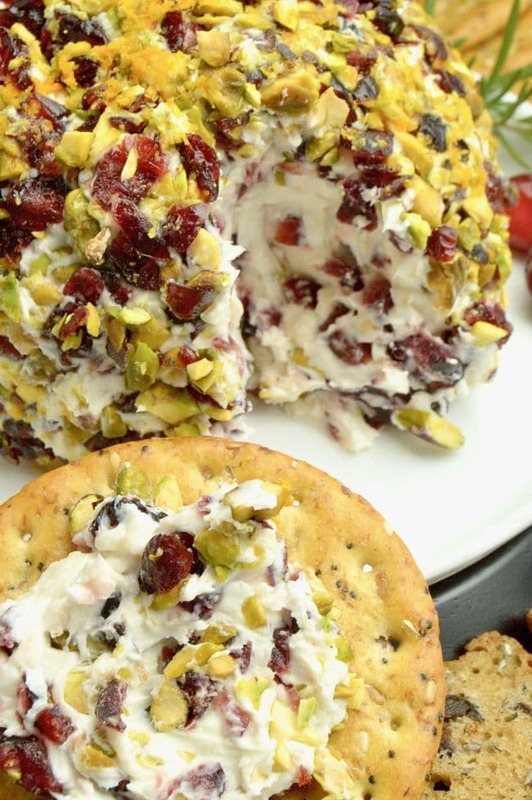 What a great idea for a holiday appetizer! I’m just trying to finalize my Thanksgiving menu now and I’m going to add this to the list. Thanks for sharing. Cranberry and orange are my absolute favorite flavor combination!! And this looks and sounds perfect for the upcoming holidays for when you have friends over and you need a great appetizer or even as a snack! Love the ingredient combinations in this one!! 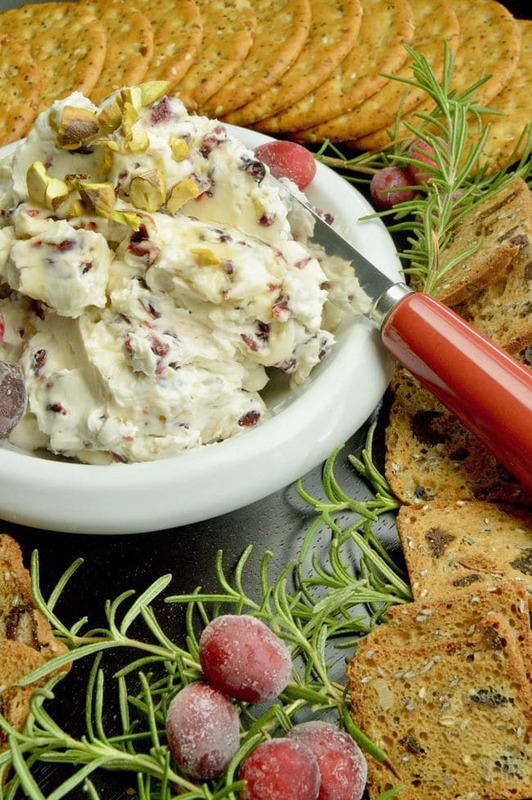 Cranberry and orange are such a classic combination – but with the creamy cheese? Oh, that sounds wonderful! This looks perfectly delicious and the absolute perfect appetizer for Thanksgiving or any autumn or holiday party. Orange and cranberry is a flavor combo that will never get old for me. Yum! I love how perfectly fall this recipe is! It doesn’t hurt that it’s gorgeous, either. I love appetizers like this with a bit of sweet and savory. The textures sound great! Thanks for sharing! Well this is a combo I would never have thought of. But it looks delicious! I’ll try it this weekend as we have a walking dinner planned! sounds like a crowd pleasing appetizer! Cranberries and orange peel are a nice counterpoint to the cheese.